Most traders look at time based charts, however there is another (better) option (in my opinion), the tick chart. In this post I will share how I use tick charts for gaining an edge over the competition. I use thinkorswim® for my charts (now powered by TDAmeritrade). So let’s start with the basics, what is a tick chart? While the size of each individual transaction is unknown, larger positions are commonly broken up into smaller orders. Thus, a larger order of 10,000 contracts might be filled over the course of 5-10 smaller orders. 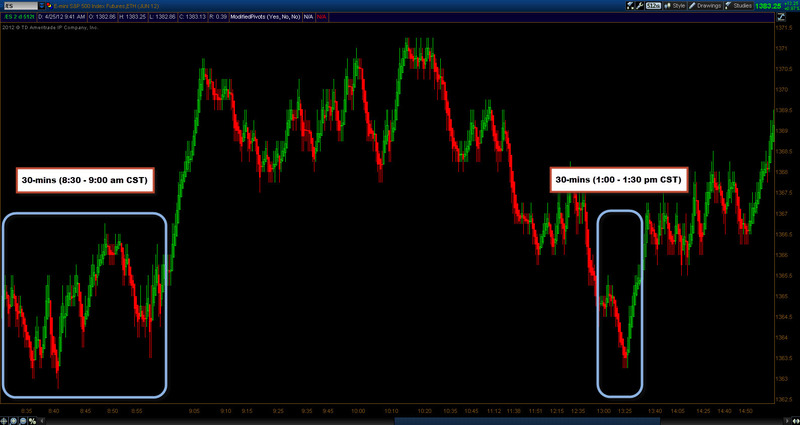 In order for the market to absorb this order many smaller orders will be filled to match the other side of this trade. The Heikin Ashi Candlestick is a great indicator to be familiar with and have in your toolbox. Below you’ll notice a distinct difference between a traditional candlestick and the Heikin Ashi, the main difference being the color coating of the bars. Here’s an article I wrote for Active Trader Magazine which outlines the basics of understanding and applying Heikin Ashi Candlesticks. Of all the bar chart types out there I prefer the combination of the tick chart with the Heikin Ashi Candlestick. This combination is a crucial part of my chart setup for day trading the Euro 6E futures. 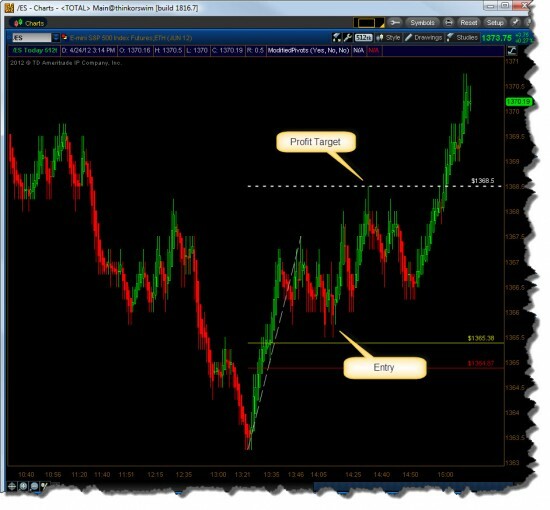 The video below provides more detail on how I use Heikin Ashi Charts in my trading. When you combine the tick chart with the Heikin Ashi candle stick study you get a nice clear picture of the current market condition. Trending markets are easy to identify with clean bars of the same color forming one after another. 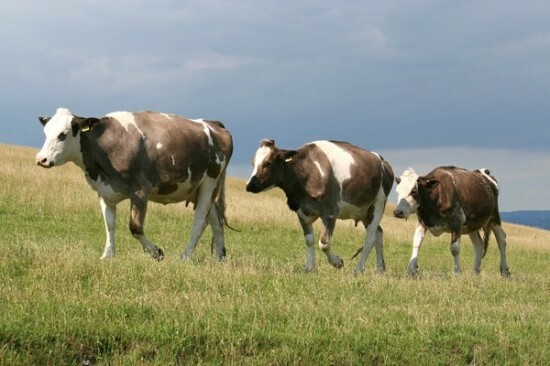 Range bound markets will appear choppy, with bars changing color more frequently. You’ll notice in the images below periods of trending followed by consolidation sideways chop. Open a TDAmeritrade account and get thinkorswim® charts. 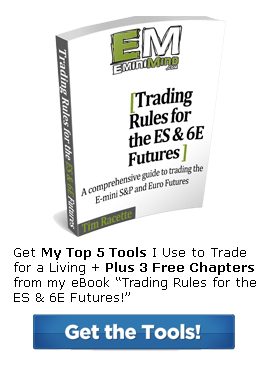 For a detailed look at my trading setups for the ES & 6E you can checkout My Trading Rules, a comprehensive guide I put together that acts as the framework for my trading. If you found this post helpful please share or retweet it below. Thank You! If you enjoyed this post and others like it on the blog please click the Like or Tweet buttons above. Thanks in advance for doing that! Hey Randy, yeah you can definitely use the same methods of HA candles with the equities markets. Especially if you’re day trading bigger stocks like AAPL, GOOG, or ETFs like the SPY etc. I don’t use the HA candles on daily charts, just intraday. I find tick charts especially helpful during extended hours, for times when it gets quiet. I’m also a fan of Heikin Ashi candlesticks, but I like to have my charts in a 2-up fashion — the Heikin Ashi on the top, the regular candlestick with volume on the bottom, just so I can keep an eye on the “real price”, and not just the Heikin Ashi “indicator”. Having TOS with the synchronized charts and cursor helps keep them in-line. Nice site, and keep it up. Tim, thanks for all the information you’ve provided. I have read everything you covered over the past 8 months. Just a couple of questions; I tried to log onto your infinity Presentation, couldn’t log-on. Question, I see your slides are available, but was the event recorded. 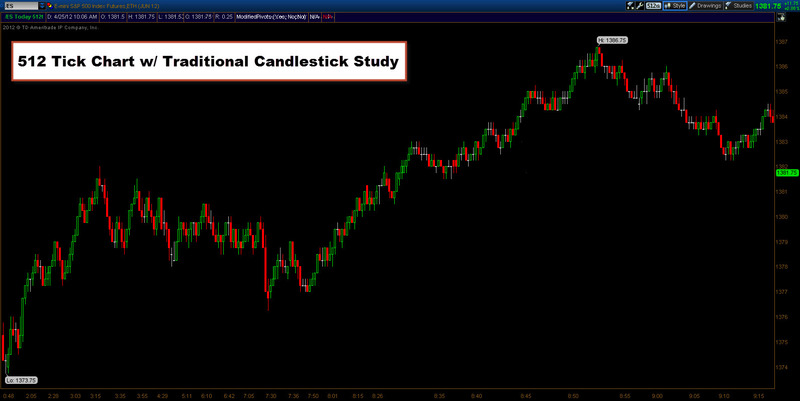 A few weeks ago, I thought you stated you simplified your charting, thereby, you quit using Heikin Ashi candles. Would you plese confirm. Last comment. 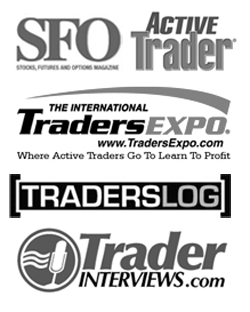 Following your writings….. My trading has improved. Thanks Again. Hi Dan, thanks for the kind words. The Infinity webinar was not recorded only the slides are available. When I simplified my trading screen this time around I kept the Heikin Ashi candlestick study and just flip back and forth from daily, to 15-min, to 512tick charts. dan – the infinity presentation on youtube works for me. you can also go to inifinitywebinars.com and sign up for in depth webinars on their platform. i use it – its pretty good. unfortunately they dont archive these. but youtube might soem others. Thanks for the input Joe. Yeah I wish Infinity archived the webinars. I have a handful of the ones that I’ve done with Infinity in my archive, but not all of them. Yes absolutely. The general concept is the same. You would just need to modify the stop placement for the individual market. You have tweaked my interest on the Heikin Ashi but when I clicked on the link to the article you wrote, it would not load. I would appreciate a copy of the article or an in-depth study source that you recommend. Thanks for letting me know Gerald. I relinked the PDF directly in the post. Hi Tim! I just have a few questions about your film and other films about tick charts. 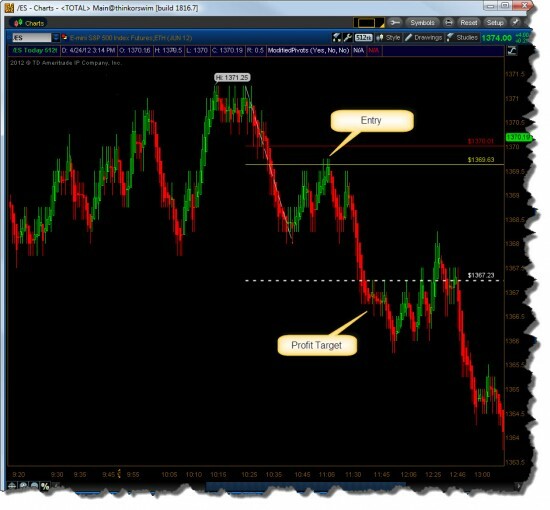 I am also trading ES and i use timebased charts. I se that you and others are using tickcharts with diferent setupts like 144, 233, 400, 512 e.tc and when you are chosing a tickchart frame how do you do and what are the criterias that you use for you tickcharts when you chose your frame? I normaly enter positions at levels and try to swing my self threw the day and i do not use candle patterns like shooting stars i just entre from important levels and i have seen that the same levels are woorking in tick charts to like day, yesterday, week, month e.tc high/low. Thanks for your films and I will be glad to hear from you. Hi Gle, the main point when working with tick charts is to pick a time frame that visually gives you enough data to trade from, but isn’t just noise. That’s how I settled on the 512t chart. For slower moving markets the 233 can work well, but that’s about as small as I will go. Ok so it is just a visiual thing and you dont have any hidden agenda behind the tick frame that you are looking for a number of trades to take place before you enter a trade? It is just like the time based charts you trade the patterns you see and feel comfort with? Why is 512 a standard that many use? Is it just the visual thing only? Ya that’s right, it’s a visual thing, just like choosing a 1 3 or 5 minute chart. The nice thing is that with tick charts, you the more volume and activity that’s happening simply means the faster the bars form so you don’t have to necessarily keep switching tick chart time frames just because the market speeds up or slows down. I’ve never been able to dig up much on why 133, 244, 512 etc. are the numbers of choice for tick charts. You bet Gle, great questions. Keep ’em coming, happy to help any way I can! Do me a favor. Tell me how to use tick charts with penny stocks. How many ticks would you set the number to be? Hey Gordon, gosh that’s a good question. I’ve never traded pennies w/ tick charts, but here’s what I’d do. Start with a 512 tick chart and if it look like a bunch of noise then start going up in size. If it’s pretty smooth, stick with 512, if there’s not much data shown you could go down to a 233t. Tim, I trade ETF’s and specifically those that follow Crude Oil prices. Do you have a suggestion for the charts? I believe that 512 is too many for some of the ETF’s. Depending on their volume of course, I’m thinking 133t should be sufficient. Hi JD, yeah the 133t could be a good option. Also the 233t might be worth checking out. That’s about as small as I go on things like the 6E, but other markets could justify smaller ticks. Keep in mind though the smaller tick sizes mean less trades are taking place so don’t get caught up in a slow market. 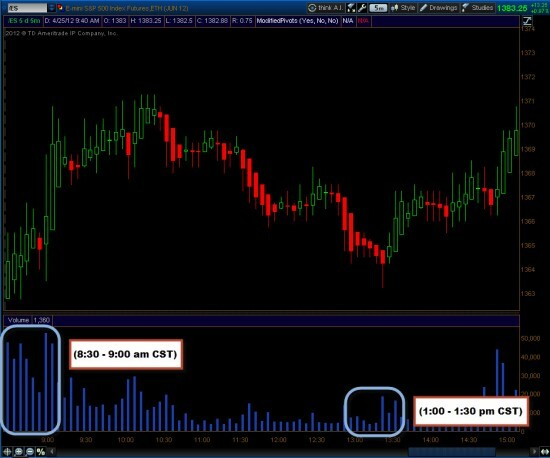 Hi Tim Great Info, I have a question whats the rule of thumb when comparing minute charts to tick charts I assume 100 tick is similar to 1m and maybe the 512 is similar to the 5min ? and 1500 would be the 15 min? any Ideas re: this . Hi Darran, with tick charts, the candle closes after X # of trades occurs, so for a 512 the candle closes after 512 trades occur, thus in a heavily traded market the candles will close faster (in a quicker period of time) compared to say the overnight where less trades take place. So a 512t candle at the NYSE open could close in just over a minute, while at 2 AM it might not close for 5-mins. So that answer is, it varies.